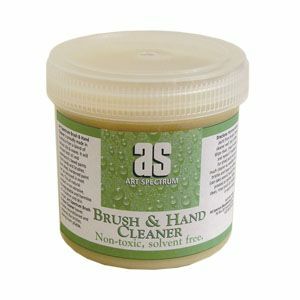 Art Spectrum Brush and Hand Cleaner excudes no potent fumes and is harmless on skin, safely removing both oil and acrylic based paints from brushes, tools and hands. Restore stiff, old brushes and maintain soft and pliable bristles. Non abrasive, non toxic and biodegradable. 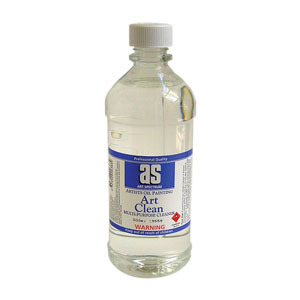 Art Spectrum Art Clean is a brush and tool cleaner made from a blend of natural and biodegradable extracts. Similar to turpentine with a citrus scent and does not contain any petroleum based solvents and no harmful bleaches.